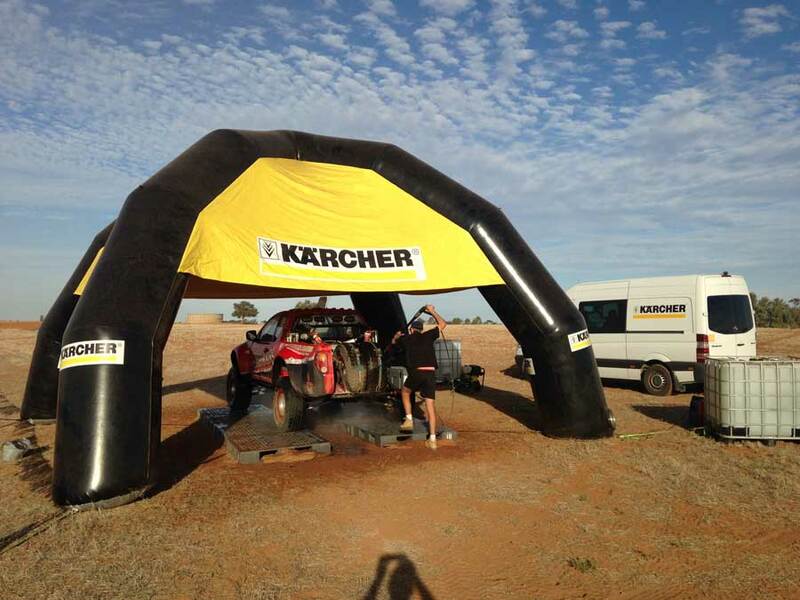 Kärcher Australia are extremely proud to announce that it will be joining the ARB Australian Off Road Racing Championship as an official sponsor. The fit is perfect for the leader in cleaning technology. Pairing one highly tuned machine with another, Kärcher Australia will be providing High Pressure washers for the competitors to use at every round in 2018 starting with Griffith in March 2018. Cleaning the cars is not just for aesthetics but essential prior to maintenance in order to identify damaged or worn parts. From a technical point of view, a thorough wash also allows better reliability of sensitive components such as the car’s suspension. The cleaning station is contributing in this way to success and safety of the drivers. Kärcher’s Australia's leading technology enables water savings of almost 80% compared to traditional car wash methods. Furthermore, high pressure is an environmentally friendly alternative to using chemicals and leads to better cleaning results in a much shorter time.